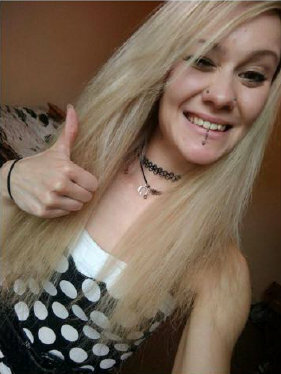 A woman has reveled her lifelong battle with an anxiety disorder that causes her to pull out her hair, including her eyebrows and eyelashes. 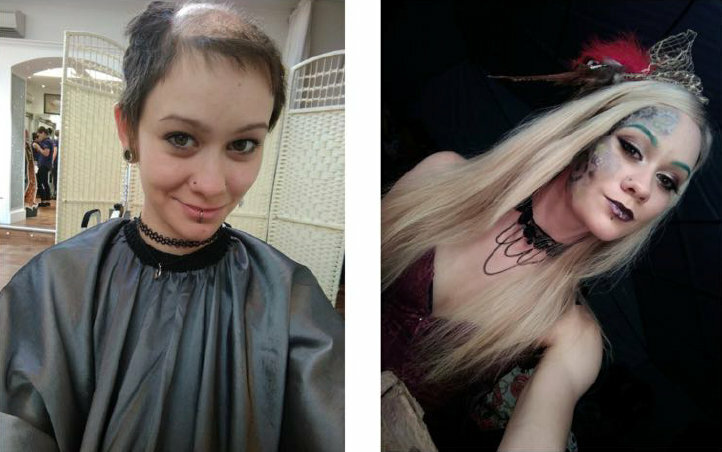 Caire, 22, has had bald patches since the age of nine, from regularly ripping out chunks of hair from her head. The condition worsened four years later following the death of her mum, which lead to Claire starting to pull out her eyebrows and eyelashes. Things got so bad that circus performer Claire became too ashamed to attend school and was disagnosed with trichotillomania. The chronic hair pulling disorder is triggered by axiety, a chemical imbalance in the brain and changes to hormone levls during puberty. Claire attributes her hair-pulling to the stress of moving from primary school to secondary school in Switzerland, where she grew up. When she was younger , her parents Staphanie and Philippe decided to shave her head in a bid to control their daughter's compulsion. 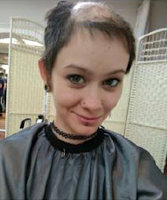 As a schoolgirl, Claire was bullied when she began wearing wigs to cover the bald patches. However over the years, she learned to love how she looked - and even started modelling aged 18. Claire, a circus contornionist from Bristol, says her mum took her own life when she was 13 years old. She had started using wigs but eventually lost interest in them. 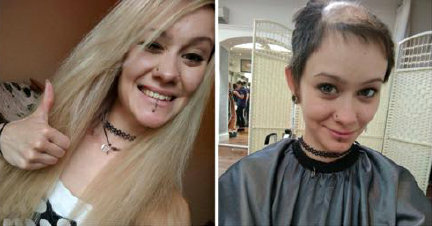 Since she started modelling, Claire has completely ditched her wigs, and has undergone a staggering transformation after having hair extensions stitched onto her scalp. 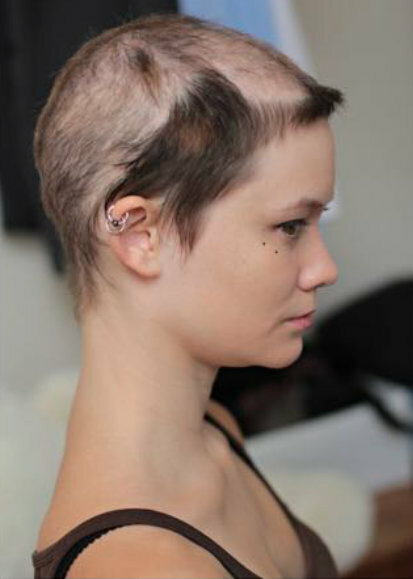 The technique, which costs between £895 and £2,295, involves applying a mesh over the scalp, and pulling any existing hair through. Now she can perform new circus tricks, as well as going on fairground rides and to the gym without worrying that she could lose her wig. Claire is working with Lucinda Ellery, founder of Lucinda Ellery Studios, who is a renowned industry hair expert, with her 30 years experience pioneering unique solutions for female hair loss and hair thinning. She is now living life to the fullest with her newfound confidence, enjoying life as a model, and helping to raise awareness of her compulsive condition.